Kotagiri is a quiet, unassuming and beautiful place in the Nilgiri hills of Tamil Nadu. Kotagiri is the oldest and smallest hill among the three Nilgiri hill stations. 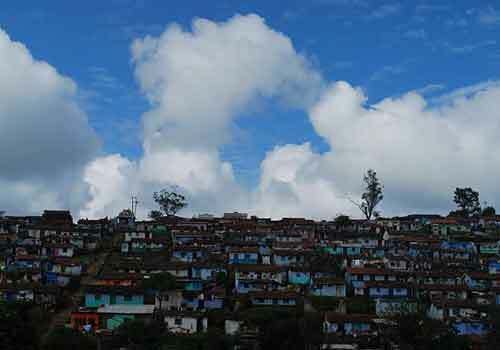 Kotagiri is only 27 km away from Ooty, which is the most popular hill station in South India. Situated at an elevation of around 1793m above sea level, Kotagiri is considered as one of the most beautiful places in south India. 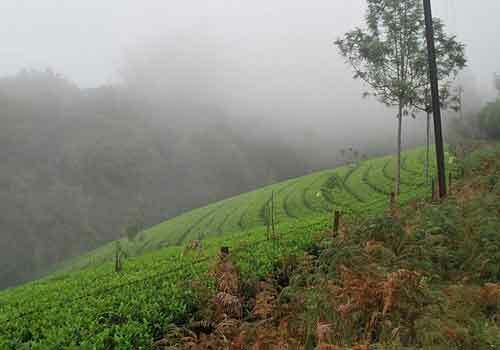 The evergreen vegetation, tea plantations, eucalyptus and wintergreen makes Kotagiri a must to visit place in Tamil Nadu. Ooty, the major hill station in south India is only around an hour’s drive from Kotagiri and there is a public opinion that these days most of the tourists are heading towards Kotagiri hill stations, rather than going to Ooty. 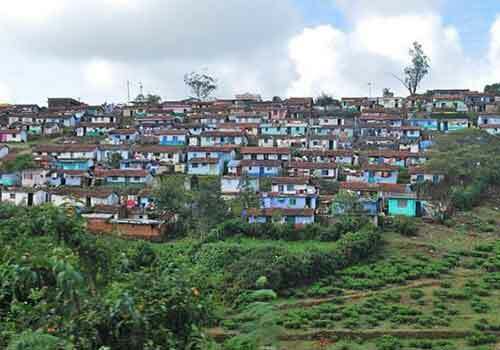 When compared with Ooty, Kotagiri is very calm in nature and also not populated with too many tourists. The serene beauty and calm nature of Kotagiri make it something worth visiting in Tamil Nadu. Kotagiri is still considered as an unexplored tourist destination in Tamil Nadu which is less populated by travelers and hence a pleasant and calm nature. The place was once a major summer retreat center for the British Officials in India and is surrounded by tea plantations and amazing natural beauty. There are also a good number of tea factories in Kotagiri that are worth visiting. Apart from sightseeing and cool climatic conditions, Kotagiri is also a best place for adventure activities such as trekking and rock climbing. The Catherine Falls and Elk Falls in Kotagiri adds more to its natural beauty and is a treat for the travelers. The Doddabetta Range and the Rangaswami Pillar are something that needs not be missed while on your trip to Kotagiri. If you are more interested in sightseeing, then the Kodanad point in Kotagiri will provide you with the amazing sight of surrounding hills and valleys which will make you feel speechless. There are also several other tourist attractions and spots in Kotagiri such as the Nehru Park, Longwood forest, John Sullivan’s bungalow, Uyilatty falls, Rangasamy Peak, The Denad village, etc. All these places provides you with a unique travel experience that you can cherish for a lifetime. Most of the travel attractions are calm and silent which makes this place more interesting. Generally, Kotagiri is a tourist destination that is suitable for travelers of any age due to its calm and serene nature. There are various Some of the major points of interests in Kotagiri that are worth visiting while on your travel vacation. These are some of the best places to visit in Kotagiri and you will really be able to enjoy the amazing beauty of Kotagiri through these travel attractions. 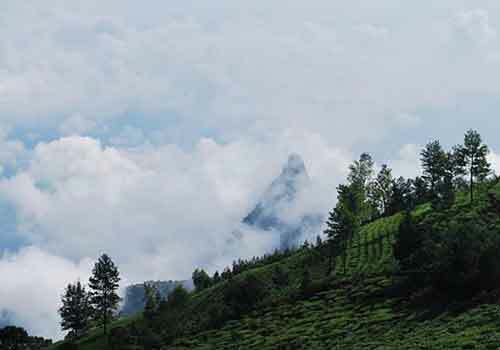 Below are some of the major points of travel interests in Kotagiri for you to explore. If you are serious about visiting Kotagiri, then the best time to do it is during the months of January to May when the place will be having an amazing climatic condition. Overall, Kotagiri maintains a pleasant climate throughout the year which makes it easier for the tourists to visit this place at any time of the year. If you are thinking about staying in Kotagiri, then you could feel yourself lucky as there are a lot of quality lodges, resorts, and cottages available that can make your trip a memorable one. Kotagiri is well connected to the other cities by road and hence tourists will not have to worry about reaching this place comfortably. The nearest airport and railway station of Kotagiri are at Coimbatore. So if you really wish to visit this amazing travel destination in Tamil Nadu, then you can take help of any of the reputed travel and tour operator in India, who can come up with the best quote and plan for your trip to Kotagiri. If you are looking for some good and decent accommodation in Kotagiri,, Kotagiri then here are some of the important and popular resorts and hotels in Kotagiri that can serve you with better accommodation facilities. All the below mentioned hotels and resorts in Kotagiri have different tariff rates and also have different facilities. You can select the most appropriate hotels and resorts for your accommodation in Kotagiri and that too based on your budget. This entry was posted in Ooty and tagged kotagiri attractions, kotagiri tamil nadu, kotagiri tourism south india, kotagiri travel, kotagiri travel spots. Bookmark the permalink. Its really an amazing travel location in South India and yet unexplored :) Thanks for your comment Shamsud. Gorgeous. Thanks for sharing about this. An unexplored hill station, what else can one want? Thanks Jatin and hope you enjoyed the read! Kotagiri is indeed a place worth visiting in South India. We had visited kotagiri but couldn’t spend much time here, in stead moving to Coonoor. In fact we found Kotagiri a bit crowded, though there is plenty of heritage around. Yes..These days Kotagiri is more crowded than the previous years as more and more people have become aware about this amazing travel destination in south India.